Here’s an inconvenient truth: most products on Kickstarter are mediocre. 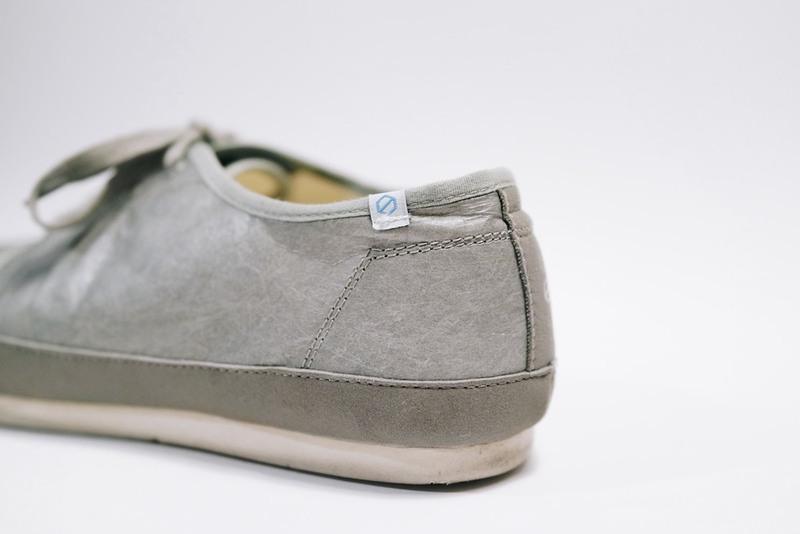 I’m not talking about people funding their creative endeavors like a book or short film, I’m talking about physical products like smart-watches, speakers or shoes. Making physical products requires a lot of capital, time and man-hours, and in most cases, projects on Kickstarter simply do not have the brute force to create something truly world-class. The Light Wing has been sent by UT.LAB but this has had no effect on the review. I frequently get asked to review projects originating from Kickstarter and I rarely accept them. I try to only showcase high quality products I think you should buy. Soft goods are typically easier to manufacture and I was really happy with the Capsule wallet I reviewed last year. So when I got asked to review a pair of shoes, I decided to give them a shot. The Light Wing is the first product made by UT.LAB (short for Unbelievable Testing Laboratory) and started life as a Kickstarter project. The company seems to constantly talk about how rigorous they are about testing, experimentation, and promises a pair of shoes that are well engineered. The Light Wing runs for $68 though they don't seem to be widely available. 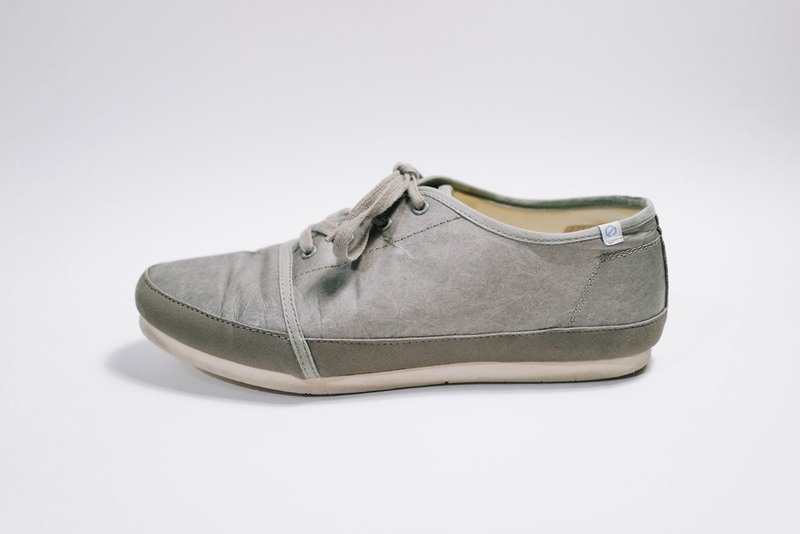 If you’re interested in buying a pair of these kicks, it's worth noting that they're on the smaller side. Read the comments online, you’ll see an endless stream of people saying that their shoes don’t fit properly. I normally wear a 10 but would have preferred a 10.5. If you boil down what the Light Wings really are, they’re a pair of sneakers made from Tyvek. At first glance, Tyvek feels very much like paper. Like paper, it’s constructed from tiny fibers but instead of being made from wood fibers, it’s flashspun from HDPE (high-density polyethylene). HDPE is better known as the plastic with "number 2" recycling symbol for most people. Tyvek has all sorts of applications from tear-proof envolopes, disposable coveralls, and those ugly “paper” wallets you often see at checkout counters. One of the great properties of Tyvek is that it’s highly breathable yet waterproof. 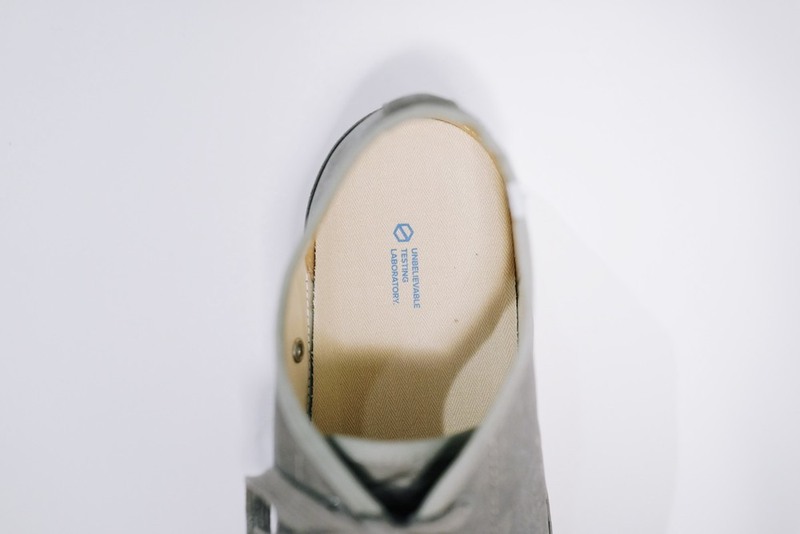 This makes it a surprisingly good fit shoes – and is precisely the reason why disposable coveralls are constructed from it. Though a bit uninspired, the Light Wing's design is undoubtedly attractive and more importantly, unoffensive. I quite like the graphical approach, like sharp line above the toe cap. 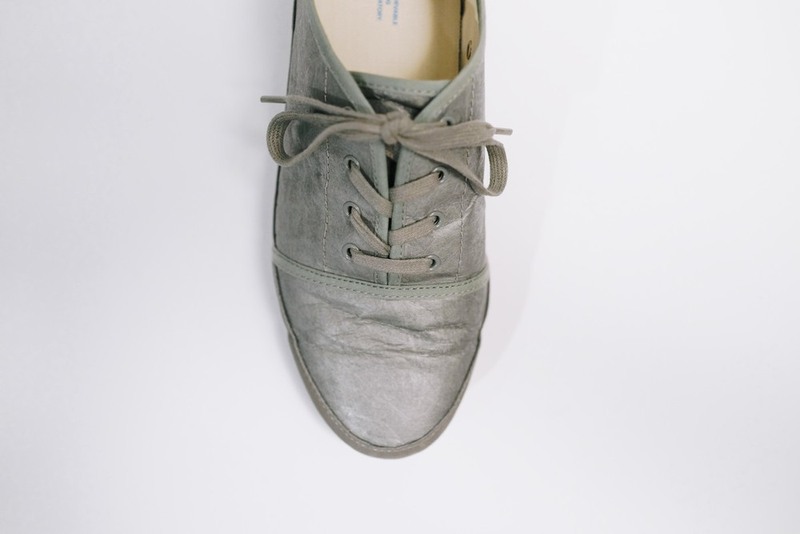 Using Tyvek also gives the shoes an interesting wear pattern. I find the folds in the material appealing and the silver color has a pretty cool metallic appearance that people seemed to notice. 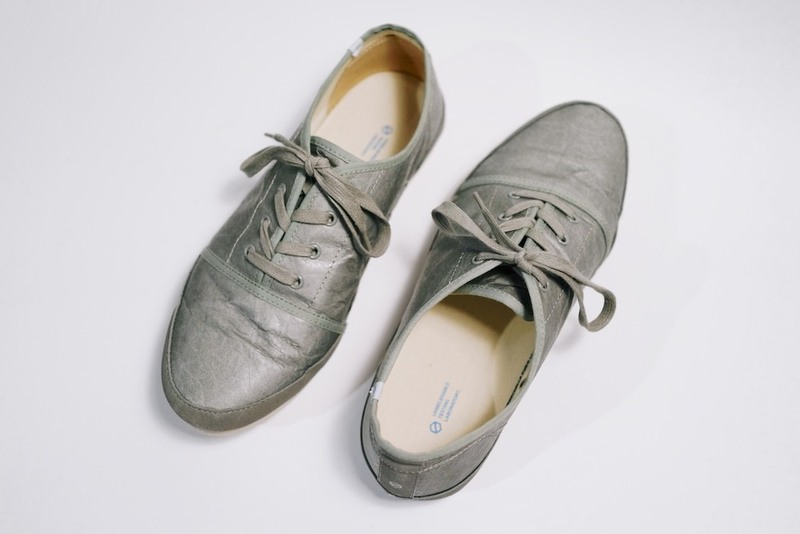 Here’s the Achilles heel: there’s a reason why Tyvek isn’t often used for shoes. For the first week of wearing the Light Wing, they made loud, crumpling noises with every step. And every time the shoes had to bend, the Tyvek would fold into my feet making it uncomfortable and annoying. UT.LAB warned me about this and recommended that I wear them in. I wore them for another week (in discomfort) and they’re better, but not great. The issue is that Tyvek doesn't like to be stretched and folded. To be honest, they make me feel like I'm wearing shoes made from duct tape. 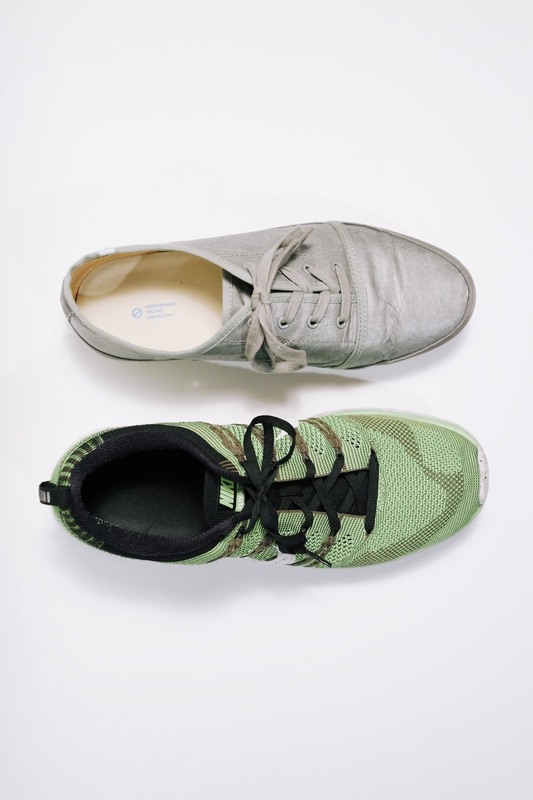 One of the primary reasons people wear sneakers is because they're easy to put on and take off. 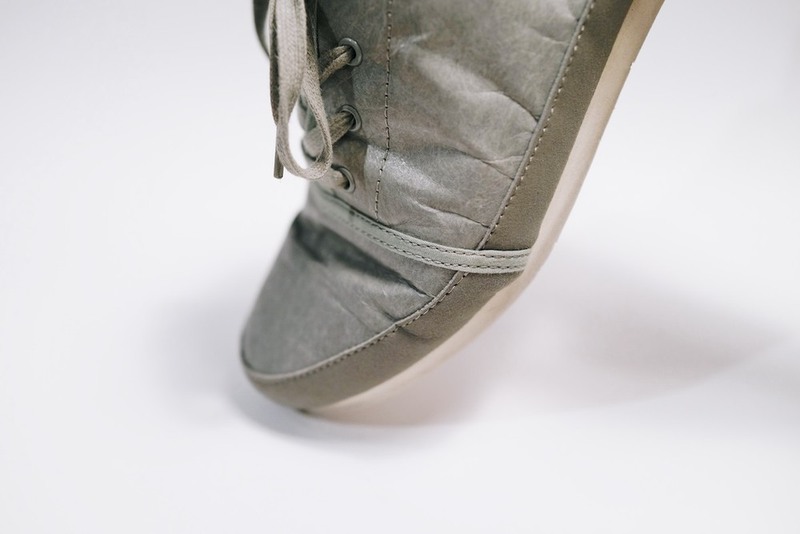 Because Tyvek is a material that crumples instead of stretching or flexing, the shoes end up being really hard to remove. Expect to sit down, unlace and use your hands to take them off. The problems don’t end there. 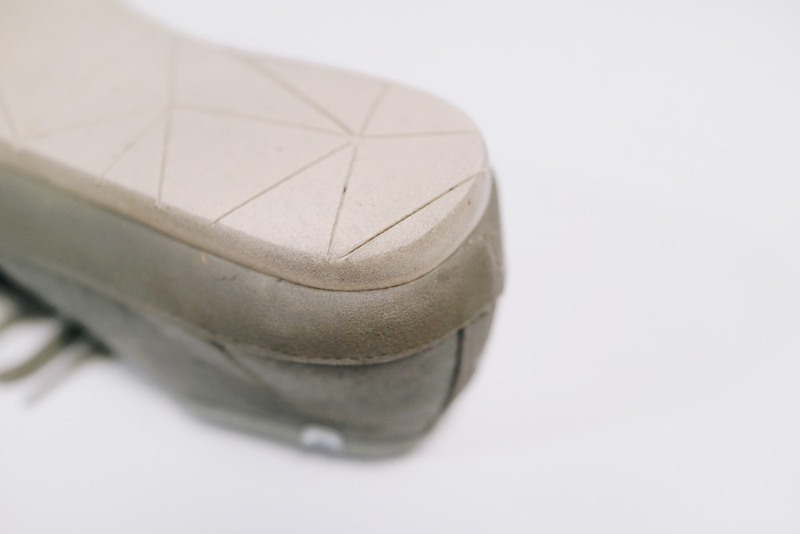 The foam outsole wears quickly and the raw edges are hard to clean and keep clean. The outsole does seem to offer good support though, and work nicely with the foam insole. UT.LAB advertises the lightweight characteristic of Light Wings more than anything else. They're not lying, the Light Wing is one of the lightest shoes I’ve ever worn. The problem is that they’re light, but not so much lighter than the Nike Flyknits that it makes a big enough differentiation. In contrast, the Nike Flyknits are an order of magnitude more comfortable, which makes me gravitate towards them every morning. The Light Wings seem to be confused at what they want to be. They keep telling me how light they are but aren't designed for running. The design says they're casual sneakers but are uncomfortable and uninviting. What are you trying to be? For a company called “Unbelievable Testing Laboratory”, it's strange to me that the shoes seem to need more testing. Did UT.LAB not realize how uncomfortable these shoes really are? Before receiving my shoe, I was genuinely excited about the Light Wing but from my personal experience I found them to be largely a misleading promise. As much as I wanted to like the Light Wings, they were sadly a massive disappointment. I respect the ambition of its creators but the final product is simply not great. A coworker and I often say that if a pair of shoes or a chair is attractive enough, we'll overlook the fact that they're uncomfortable. The Light Wings are attractive, but not enough to offset the discomfort that comes with using Tyvek on a pair of shoes. It’s an acceptable product but next to the products by companies like Nike with multi-million dollar research prowess, it just falls on its face. This is a story of David vs Goliath. Sadly, in the world of performance products, Goliath usually wins.